Founded in 2006, the Joy in Childhood Foundation is an independent 501(c)3 organization powered by Dunkin’ and Baskin-Robbins as well as the generosity of our franchisees, partners, employees and guests. Our mission is to provide the simple joys of childhood to kids battling hunger or illness. We believe impact is felt most at the local level. 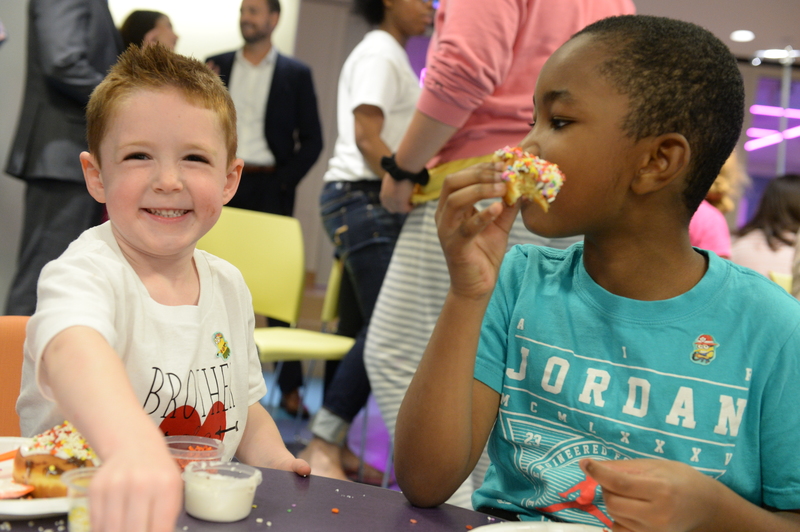 Thanks to franchisees and brand employees who volunteer their time to identify the biggest needs in their communities; organize local fundraising and volunteer events; and conduct local grantmaking, we are able to maximize our impact for kids who need joy the most. Our impact reached new heights in 2018 with the support of our customers, employees, franchisees and corporate partners. © 2019 Joy in Childhood Foundation, All Rights Reserved.